Enjoy the top 1 famous quotes, sayings and quotations by Alex Sargeant. I would have killed myself years ago if it weren't for the fact that I'm pretty sure death is the only thing more terrible than life. Want to see more pictures of Alex Sargeant quotes? 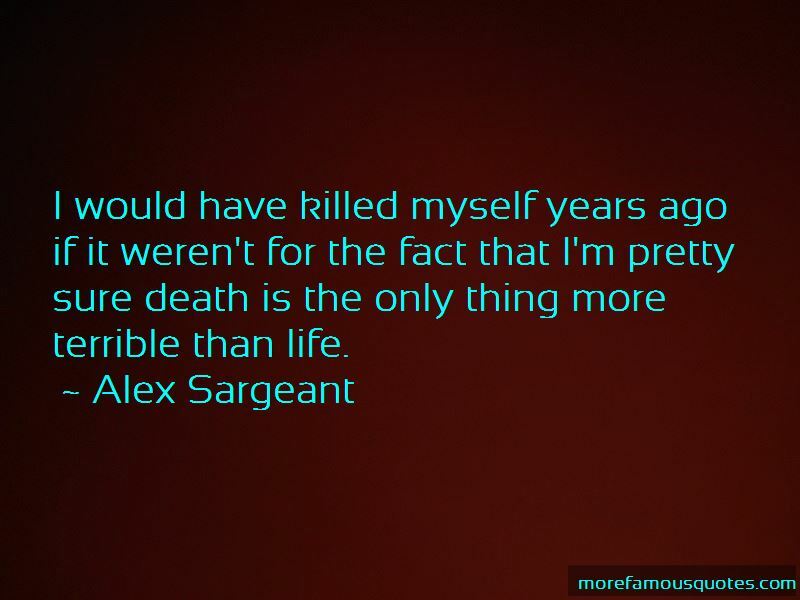 Click on image of Alex Sargeant quotes to view full size.